Offering a charming building, gorgeous and amenable units, and a splendid location, the condos of Library Square in Bellevue, Washington present a unique and amazing opportunity to buy a condo home in Bellevue, Washington. 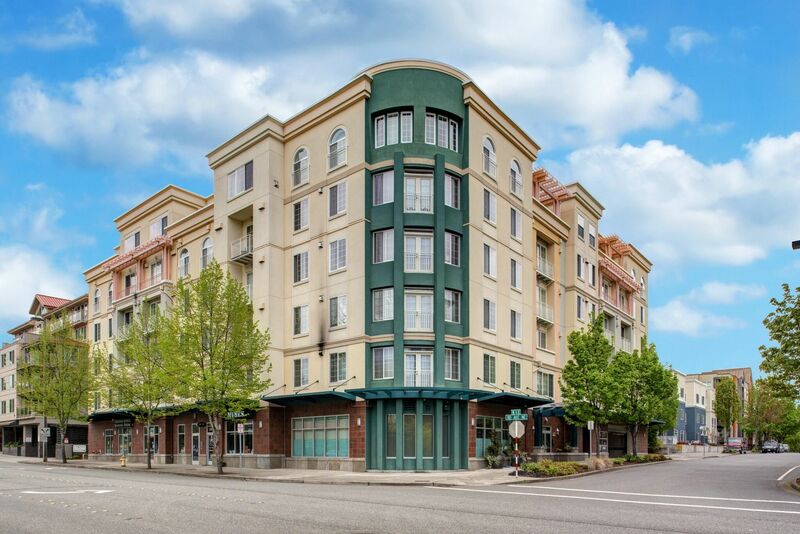 Located at 11004 Northeast 11th Street in Bellevue, Washington, this quaint building boasts incredible proximity to all of the downtown attractions that Bellevue is known for, as well as incredible features and an appealing air. Buy a new condo home in Library Square and enjoy all the complex and surrounding community have to offer. While Library Square is undoubtedly delightful, with units filled with incredible features, the amenities nearby are simply marvelous. Buy a new condo home in Library Square and look forward to indulging in the incredible dining, shopping, entertainment, and recreation that Bellevue provides. Library Square sits just a quick walk away from great shopping opportunities, such as local boutique stores, or Bellevue’s fine and expansive shopping malls like Crossroads Bellevue. Dining options include fabulous restaurants like the exotic Wild Ginger Bellevue or the delicious Pearl, two local eateries offering first-rate cuisine. Library Square offers proximity to an abundance of greenery, as there are several parks offering sightseeing, wildlife, and outdoor activities nearby. The condo homes in Library Square are an incredible option to consider when looking for a new condo home in Bellevue, Washington, one homebuyers do not want to miss. In addition to offering plenty of notable amenities, the Library Square condominium complex offers diverse and amazing condo homes. Available options in Library Square include features such as spacious and thoughtful floor plans, luxury baths, fireplaces, as well as stunning kitchen cabinets and new appliances. Library Square offers several floor plans as well, with several size options available. The condos in Library Square range in size from 788 square feet to 1,428 square feet, with 1 and 2 bedrooms, so homebuyers with any living space need will find a great new condo home in Library Square. Those interested in taking advantage of the incredible real estate opportunities that Library Square in Bellevue, Washington presents should not hesitate to contact us today for more information or with any questions they have about the condo homes for sale in Library Square. Not seeing a property that fits your needs currently available? Please click the button below to be notified as soon as one comes on the market.